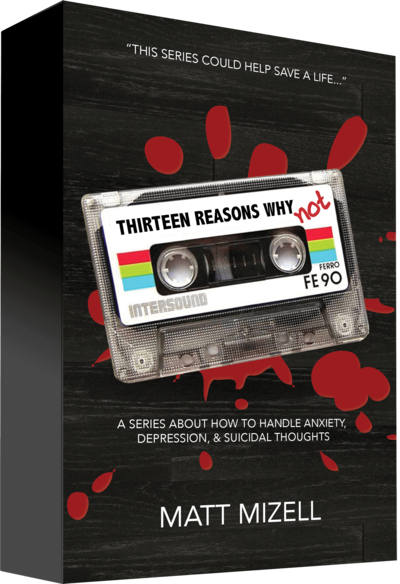 After Netflix released its popular "Thirteen Reasons Why" original series about a girl who killed herself, the topic of suicide has become viral. However, THE TOPIC ALONE SETS OFF TRIGGERS IN STUDENTS. THIS SERIES GETS TO THE HEART OF THE ISSUE WITH PRACTICAL STEPS ON WHAT TO DO. • Suicide is the 2nd leading cause of death for teens. • More teens die from suicide than from cancer, heart disease, AIDS, birth defects, stroke, pneumonia, influenza, and chronic lung disease, COMBINED. • Each day in the United States, over 5,240 teenagers attempt suicide. WARNING: BEFORE TEACHING THIS SERIES TO STUDENTS, I STRONGLY SUGGEST EQUIPPING YOUR ADULT VOLUNTEERS WITH TOOLS FOR HOW TO DEAL WITH STUDENTS DEALING WITH DARK THOUGHTS. DOWNLOAD THE ACCOMPANYING 13-STEP GUIDE ABOUT HOW TO SPEAK WITH SUICIDAL STUDENTS HERE.